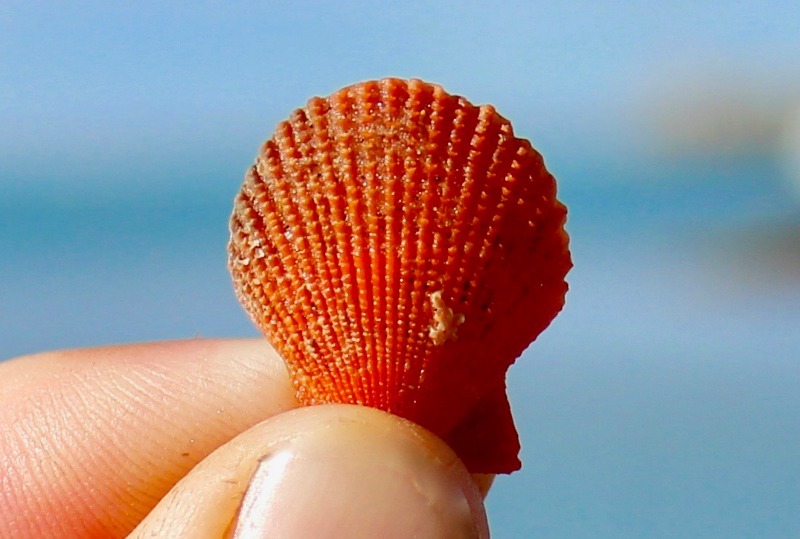 Have you been to Cable Beach? 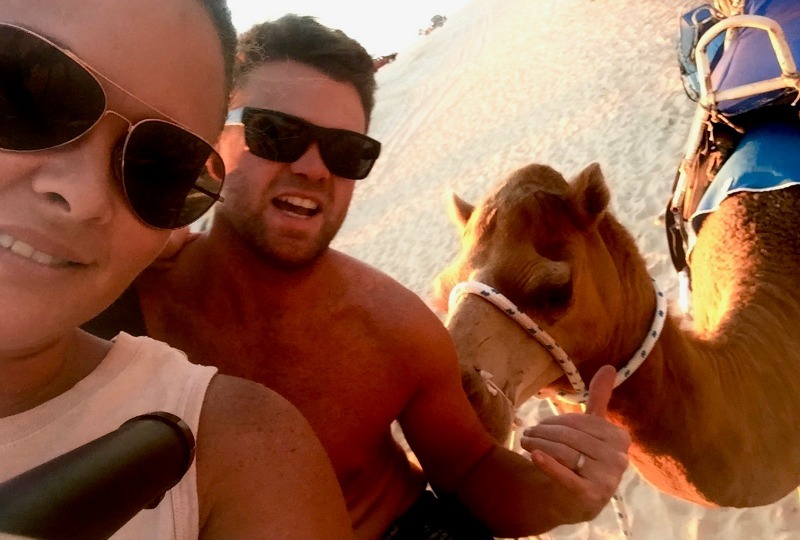 When we ask families what their top bucket list place is in Western Australia, many will say – Camel Train along Cable Beach. 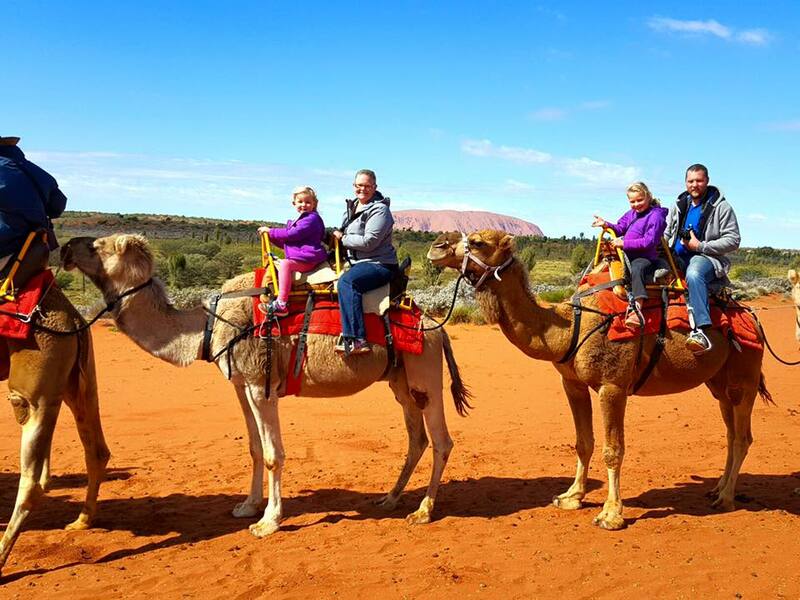 When the Campbell family from Kids Travelling Australia headed there, we couldn’t wait for them to tell us all about it… ENJOY! 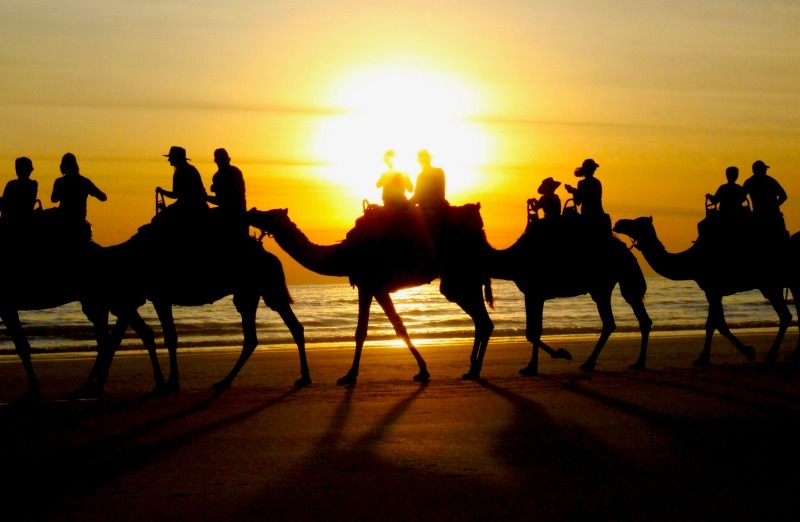 Without a doubt one of the most recognisable beaches in Australia, Cable Beach Broome is world famous for its sunsets, laid back afternoons and, of course, the iconic camel trains that saunter up and down the beach. When we first arrived at Cable Beach, without thinking we began to circle the carpark desperate to score a spot and make it to the beach to soak up the last of the sun as it sank down into the Indian Ocean. After a few minutes we realised that it’s Broome, it’s Cable Beach and there is a glorious ramp straight on to the beach out the front of the brewery where you can pick a spot out of the way and settle in to enjoy one of nature’s finest shows. If you’ve only got a two wheel drive never fear, the sand is just about rock hard as long as you stay within 100m or so of the off ramp. 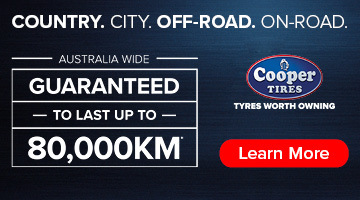 If you have the capacity to do a short rock creep you can take your four wheel drive out onto the open stretches of cable beach at low tide. 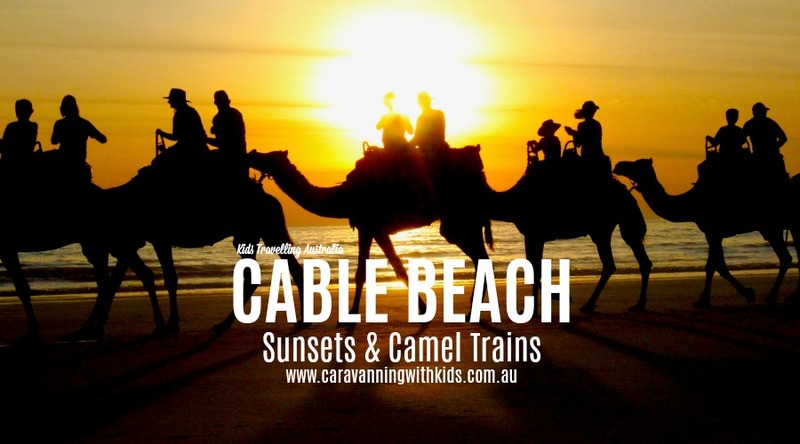 We cruised past the camel trains preparing for the their sunset walk and decided on a spot a kilometre or so down the beach where you can literally drive right to the waters edge, set up a few chairs and let the ids run riot. Whilst the tide goes a long way out it does come back in pretty quick so be prepared to pack up quickly if the tide does turn. There are also a lot of cars coming off the beach after sunset as well as the two camel trains so it’s best to head back before dark or you could be waiting a little while. As we have discovered the further north we head, its all well and good for a beach to look stunning but if you cant swim there it makes for some great photos but the experience perhaps isn’t all it could be – luckily for us Cable Beach is perfectly safe for swimming. After a long hot day it was an amazing experience to drive along this iconic stretch of beach right to the waters edge and strip off for a dip. Just a little word of advice, this part of the beach is frequented by “naturists” or those who prefer to enjoy nature without clothes so don’t get offended and if you cant beat ‘em, join ‘em. No trip to Cable Beach is complete without a camel ride an although its probably not the most comfortable form of transportation (especially when you have a small child in your lap the whole time) it is a fun and novel way to take in the amazing sunset along cable beach and the kids especially enjoyed it (and feeding carrots to the camels afterwards). We went with Red Sun Camels on recommendation from a friend and the ride comes with a free pair of pearl earrings for lucky ladies! 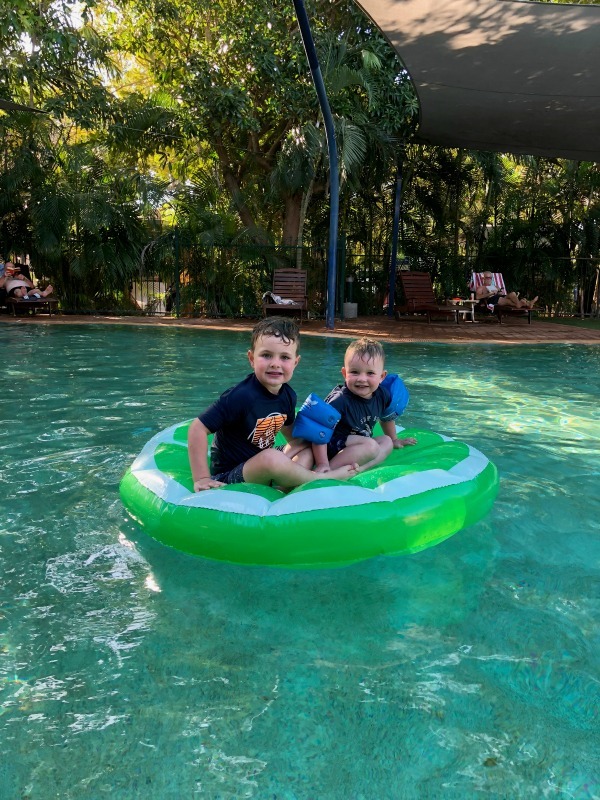 Whilst there are a number of great places to stay in Broome, we had it on good advice from fellow travellers that Cable Beach Caravan park was definitely the place to stay and we certainly weren’t disappointed. Just a short stroll from Cable Beach, the Cable Beach Caravan Park is instantly relaxing with towering trees, huge grassy sites and a genuine tropical feel. The pool area is one of the most impressive we’ve come across and it is without a doubt the best location in Broome! 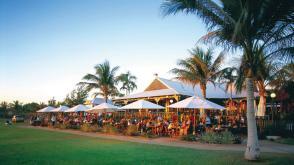 Aside from the stunning sunsets and incredible scenery the Cable Beach precinct includes the Sunset Bar and Grill with relaxed licensed dining with Broome’s best sunset view. This place was absolutely packed every time we visited the beach and a few of the girls thought it very rude not to pop in for a few frosty beverages on the way home! Best of all its only a short walk back to the caravan park! The general consensus from every one we had spoken to was that whilst Broome has an incredible amount to offer, Cable Beach was definitely the place to be and we were very happy that we decided to base ourselves there as it meant we could fit so much in every day and still be well positioned to access the beach at sunset and be home early enough to sort the kids out. Broome is famous for a number of things including a booming pearl industry, some of the most incredible scenic flights in the world and a laid-back attitude thats led to the coining of the phrase “Broome time” (yes its actually a thing). Don’t expect everything right away but when it does arrive its usually well and truly worth the wait. We now have the FULL range of Van Go Collections in our SHOP! 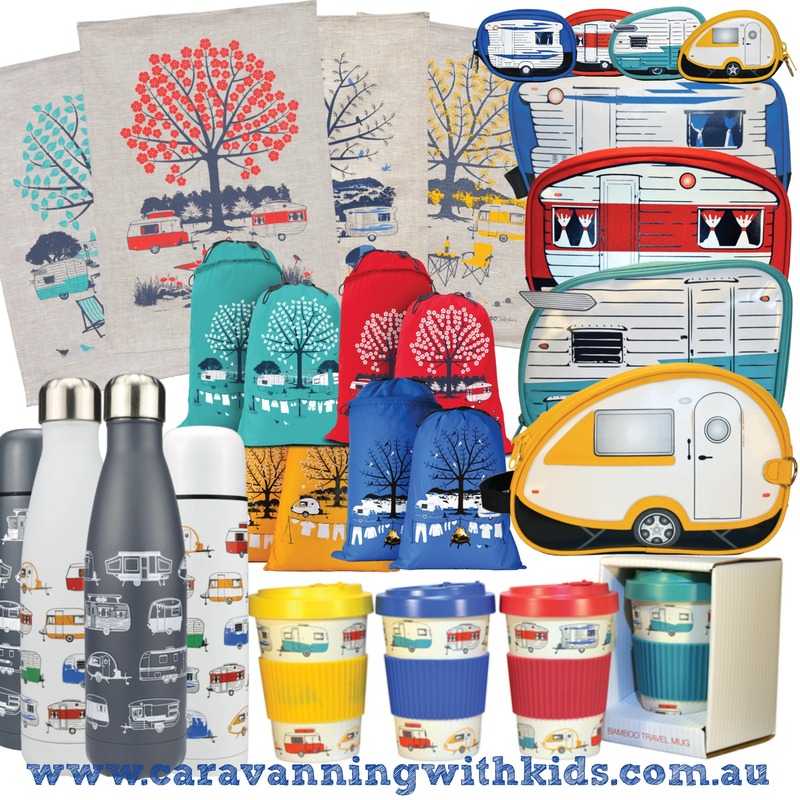 WOO HOO…Awesome gift ideas for the whole family!